Sonic the Hedgehog 4: Episode II, the long-awaited sequel to Sonic 4, finally has a release date. And when I say that, I don’t mean just the Xbox 360 version has a release date. Even the Windows Phone and PC versions have them! That’s something you don’t see every day. The information comes from a new trailer that debuted at GameSpot today. The Playstation 3 version rolls out on Tuesday, May 15; the XBLA version on May 16; iOS and PC versions sometime in May; Android in June; and last, but certainly not least, the Windows Phone port comes in July. Considering the wait for Sonic CD, a mere two months for Sonic 4 Episode II doesn’t sound so bad. As mentioned a few weeks ago, Sonic 4 Episode II will also reportedly be the first Xbox 360 game to feature synchronous game play with Windows Phone, meaning you can pause your game on your phone and pick up the game in the same spot on your Xbox 360. The other big news revealed in the trailer is that the already-released Sonic 4 Episode I is getting a surprising new feature. 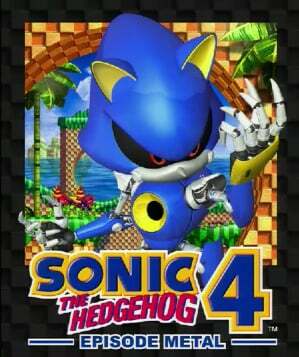 Gamers who buy both Episode I and its sequel will unlock Sonic’s robotic rival Metal Sonic in Episode I! Plus four new levels. How’s that for Lock-on technology? The new content won’t cost anything extra besides the purchase of Episode II. The trailer doesn’t mention whether any platforms will miss out on the Metal Sonic bonus (besides Wii, heh), so it’s safe to assume that he’ll be coming to Windows Phone as well. Sonic 4 Episode II coming to Windows Phone in July is great news, but what about Sonic CD? That game hit XBLA, PSN, iOS, and Android in December and PC a month later in January. The Windows Phone port is nowhere to be seen, and we have it on good authority that it’s definitely not releasing in the next two weeks. Readers keep asking about Sonic CD, so we’ll repeat what we know. WPCentral has repeatedly asked SEGA, Microsoft, and even the actual developer of the Sonic CD remake for a status update or estimated release date for the Windows Phone port. Even if the game has no concrete release date (few Windows Phone games get solid dates more than two weeks in advance), it certainly has an internal projected date. They simply won’t tell us or make any comment on the subject. Disappointing, but at least we now know it’s likely to come out before July! Source: GameSpot; Thanks Aaron K. for the tip!